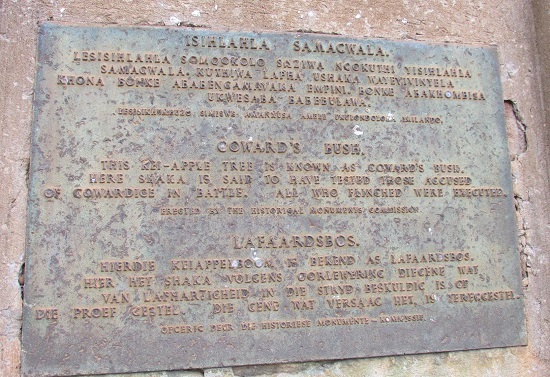 A neatly presented stone plinth (above), with wording in Zulu, English and Afrikaans, marks the spot where King Shaka allegedly tested the courage of any of his warriors who seemed to lack the bravery required of members of the Zulu impis. 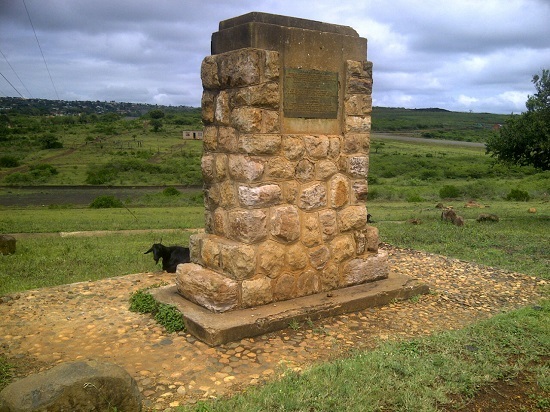 The test required the warrior to throw himself at the fearsome thorns of the Kei Apple tree which is still on site: any man who failed the test was dragged off to King Shaka’s nearby kraal (kwaBulawayo) and put to death. The name kwaBulawayo means “place of killing”.